Told from the perspective of Misao Makimachi, this alternate retelling of the Kyoto arc chronicles the adventures of wandering swordsman Kenshin Himura and his quest in putting a stop to the evil Makoto Shishio and his plot to take over Japan. Two episode OVA series released on March 21 and August 22 of 2012. Rurouni Kenshin: Shin Kyoto-Hen When I first heard that there was to be a new Rurouni Kenshin OVA, I was giddy with excitement because I was expecting the long neglected Jinchuu Arc. Then, I found out that it was to be a retread of the Kyoto Arc, told from Misao's point of view. Really? At any rate, the art and animation are pretty good. The musical score from the original Kyoto Arc is reused, so that's OK. What is really off putting to me that is that they completely compressed and butchered the entire Kyoto Arc into a two hour OVA. Many unnecessary changes and omissions were made, such as having Shishio and not Satou fight Usui and Kenshin never reunites with his old master to learn the final moves of Hiten Mitsurugi. How can he conquer his inner hitokiri without this? Overall, this OVA was just a disappointing waste of an opportunity to animate the Jinchuu Arc. The Kyoto Arc in the anime beautifully adapts the manga story and is perfection. This was simply not needed. Last updated Wednesday, August 19 2015. Created Wednesday, August 19 2015. Rurouni Kenshin: Shin Kyoto-Hen Serving as a retelling of Rurouni Kenshin's famous Kyoto arc, True Kyoto Arc is a compilation of the major events that occurred in that part of the series with a number of tweaked events that significantly change certain elements of the title's storyline. 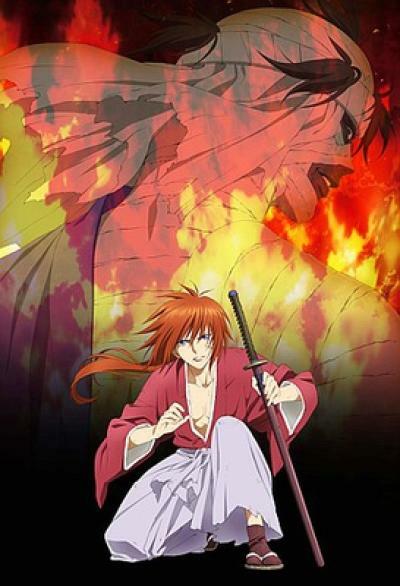 The anime attempts to cover events of the arc from Misao's perspective, but her character lacked the complex developments of Kenshin's character to offer any intrigue or interest to the audience. The title's 90 minute run also serves a major issue as True Kyoto Arc is very rushed in its developments and just doesn't have the time to focus on any meaningful moments of character depth or development that made it one of the title's best arcs, especially in Kenshin's case as he dealt with the personal issues that affected him during his time as a hitokiri before the start of the Meiji era. This pacing also has a negative effect on battle scenes. While the visuals are well-polished and detailed, battles are too quick in the resolution of their duration to hook in viewers or to allow any focus on a character as many of the battles fought during the Kyoto arc involved clashing of personal ideologies between characters. As it is, Rurouni Kenshin: True Kyoto Arc is a bit of an oddity in the franchise which came out over a decade after Seisouhen, yet even that travesty to the franchise was better than this since it was better paced despite its significant alterations to Kenshin's character. If you want to experience the Kyoto arc in its best quality, either read the manga or track down the TV anime. Don't waste any time or money here. Last updated Friday, August 30 2013. Created Friday, August 30 2013.